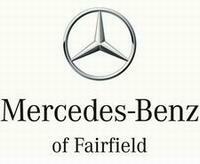 FAIRFIELD ----Mercedes-Benz of Fairfield will host a benefit cocktail party on Friday, June 15, 2012 from 5 – 7:30 p.m. for Yippie Foundation. The event, entitled “Building Community Together” will celebrate the construction of the new Yippie Yogurt™ youth job training shop soon to be located in the Winery Square center in Fairfield. Guests will hear about the new building plans and enjoy an evening meeting Yippie Youth, and sampling fine wines and heavy hors d’oeuvres prepared by Chef Daniel Bell. Activities also include a wine and dessert auction, and guests may also have multiple chances to win a 4-day use of a new Mercedes – just in time for Father’s Day! Tickets are $20 if purchased in advance or $25 at the door. Tickets can be purchased at Mercedes-Benz of Fairfield, at http://buildingcommunitytogether.eventbrite.com or contact Sherilyn Henry at Sherilyn.Henry@YippieYogurt.org or 707-208-0853. Each ticket includes entry, food and one beverage. Can’t attend the cocktail party? You can still help! Your donation will help provide students with needed class supplies; bus passes; equipment; or weekly meals and snacks.